I’ve tried everything, I can’t find a job in Dubai…! Apart from the obvious english grammatical errors, we replied back by asking the candidate what they did to apply for the job in Dubai, where they were based and why they wanted to apply – as our website is in the field of workers as well as Dubai life. We like to find out what potential candidates can offer and why they are being turned down. It turned out that this job applicant had asked his brother who worked in Dubai to “set up” meetings with potential managers by firing off email after email which were completely generic in their content. We informed the candidate that no hiring manager has the time to look at these as they will probably end up in the spam box. Firstly they do not have time, and secondly the sheer volume of generic emails they get will simply be ignored. The more important point which needed to be discussed was that the candidate had never taken a trip to Dubai, had no idea what it was like and simply heard good “stories” from his brother about Dubai and was desperate to come and work here. One of the major problems with this approach is that you are building yourself up for a huge fall. If you have no idea about the country you are moving to, the customs here, and the ways that people are hiring out here you will have little to no chance of success. The big issue we have found is that people from the asian subcontintent especially may have a relative or a friend who has managed to get a job in Dubai, and they feel they can replicate the very same approach to land them the job of their dreams in Dubai. This is far from the truth. There are a very limited number of highly skilled workers who come to dubai who have the correct levels of English, skills who are accepted. This is why so many can’t find a job in Dubai. Indeed from our talking to recruitment consultants across the UAE we have found there are around 10% of the 50,000-100,000 candidates who apply each year to various skilled jobs in Dubai. The vast majority of these are related to the IT field or Accountancy. This approach does not work, and if it does it will only work for a select few number of people who fulfill the requirements of the post they are applying for. In the exception again, and depending on the company, recruitment agents and hiring managers will be accepting of referrals you make to them of potential candidates who you know from your home country who are the same as you in terms of skills – but again this is an exception and is not the norm. How do Hiring Managers Recruit? It is extremely important to understand that Dubai is a city of networking. Hiring Managers and HR Managers will meet other managers over golf, lunches, in Restaurants and Cafes and exchange information. If you can’t find a job in Dubai you will need to get these people on your side. It turns out that everybody does know each other! For this reason, the most important thing to consider when applying is to make a visit to Dubai in the months before you want to move here. We have found this to be one of the most important secrets of hiring managers across the UAE. They need candidates who are ready to start and will hit the ground running – for this to happen potential candidates need to be in the country. This is one of the major things holding you back and could be why you can’t find a job in Dubai. It does not matter which country you are from, as long as you fulfill the requirements of the job hiring managers will want to see you. Of course we recommend a basic command of the english language and arabic a bonus! If you are fortunate enough to live in the West, many companies take special trips to the UK, US and Europe and are looking for bright, motivated individuals to join them in their teams in Dubai. This is another way to get a job in dubai, by getting in the minds of recruiting managers by attending exhibitions, open interviews and job assessment days. If you can’t find a job in Dubai you need to take positive action! These guys will help most people who can’t find a job in Dubai and have been looking for a while. They will go through your CV and practice interviews with you. They also know a lot of hiring managers! Recruitment consultants can be contacted by email and telephone wherever you are, but be aware. Recruitment consultants hire thousands of people every year, and are mostly concentrated on the high earning individuals (Managing Directors and above) as it makes them a healthy bonus when that candidate is hired. Firstly make a plan to stay in Dubai for 2 weeks. Before travelling make a list of recruitment agencies you wish to contact and take note of their locations. Then, email each recruitment company and tell them you are interested in working in Dubai, and note down the jobs you are interested in taking. Please be aware by the time you actually get to Dubai a lot of these jobs will have disappeared. If you want to get a job in Dubai you have to be there! And now the NUMBER 1 Reason why you can’t find a job in dubai! If you can’t find a job in Dubai it’s because you don’t know enough people. In the short space of time you are in Dubai you MUST network with people. There are various networking events held by a variety of companies. If you are running short on time just visit http://professional-networking.meetup.com/cities/ae/dubai/ and connect with people there. Get some business cards, make sure you mention you are coming to dubai to work and get in people’s minds. At many of these events you will find professional like minded individuals who are also looking at new opportunities. 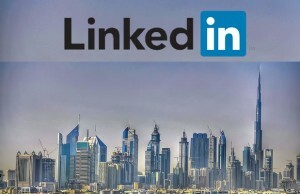 As we said before, Dubai is a city of networking, so use this tool wisely. Networking greatly increases your chances of finding a job in Dubai. Do you have an email address? If you can’t find a job in Dubai you need to learn now! Whilst you are in Dubai, its crucial to recognise how people operate, how the country runs, and how companies are being run. You need to understand the inner workings of the companies you are targeting by asking people who know others working there. Arrange a meeting with them and find out who the people are in charge of recruitment. If you can get emails do it as soon as you can and get yourself known. Use the business cards you have collected and also email your networking contacts for a coffee or lunch to discuss options available. Visit Recruitment Agencies – be prepared! Make sure you contact and/or visit the agencies you made a list of and ensure you are completely professional throughout. From the email exchanges to the time you turn up – everything must be professional. For those people who have been looking for a long time and can’t find a job in Dubai you need to visit agents direct and speak to them about the issues you have faced. They are the experts in this. It’s important to make a good impression. The last thing you potential employer’s recruitment agency wants to see is some ill-prepared candidate who knows nothing about Dubai or the work ethic that exists. Its not the end of the world! If you have tried and tried and just can’t find a job in Dubai you need to look at other countries in the UAE and beyond. Qatar, Bahrain, Kuwait and Oman are just some of the countries you can apply to. We hope this post has been useful to you when applying to a job in Dubai! Need more? Take a look at 20 mistakes when applying to jobs in Dubai! Have you found that you have tried and can’t find a job in Dubai? I find great irony in how you point out the grammatical errors of this one applicant, have you actually read your English?! The grammar, and punctuation (or lack of) is atrocious!!! Oh and I have just seen some horrendous spelling mistakes.